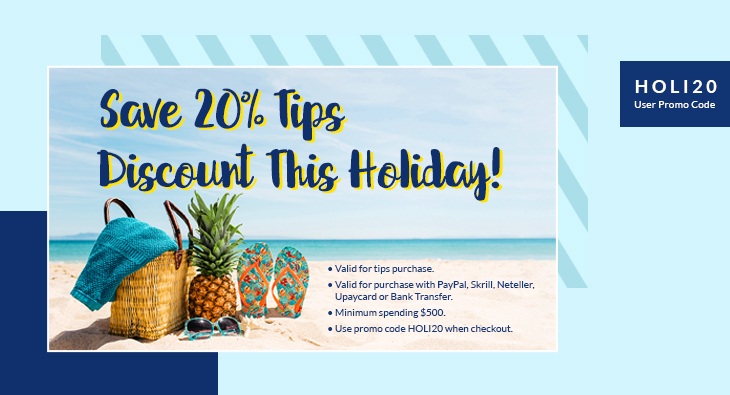 Save 20% Tips Discount This Holiday! Use promo code HOLI20 to get 20% discount on your tips purchase. 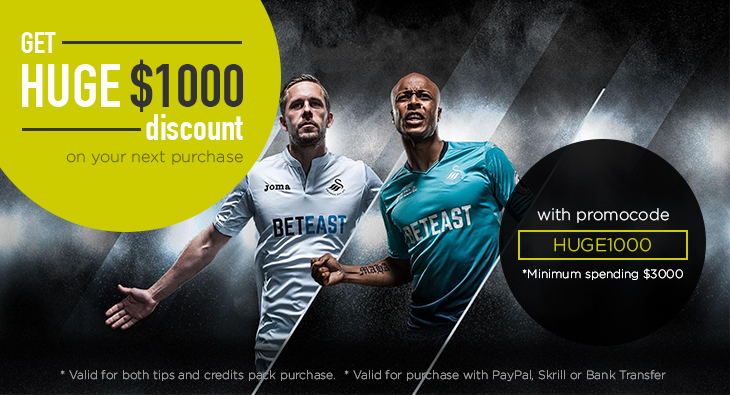 Use promo code HOLI20 when checkout. 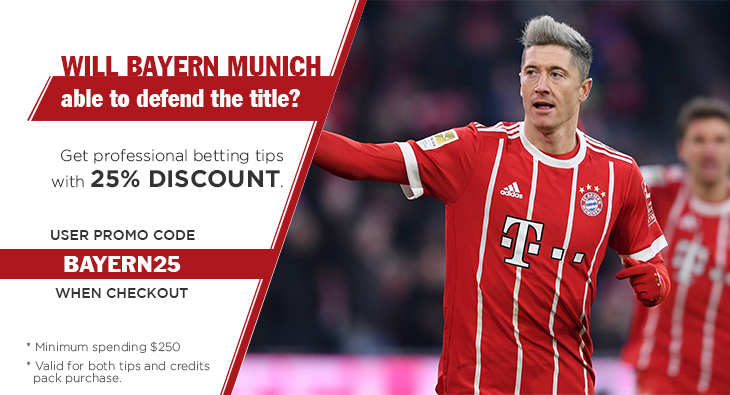 Get professional betting tips with 25% discount. Visit our Facebook page and like us, then message us in Facebook messenger with your registered email address. Our marketing team will send the 30 bonus credits in within 1 working day.